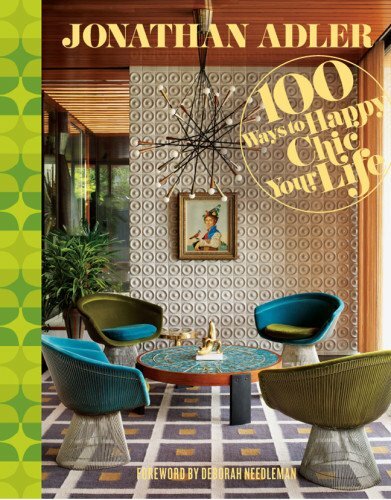 If you’re a fan of Jonathan Adler, his latest book “100 Ways to Happy Chic Your Life” is a must have. The title says it all, really. 100 Ways, complete with bonus craft projects that anyone can do, guides everyone from the completely lost to the dabbling designers. 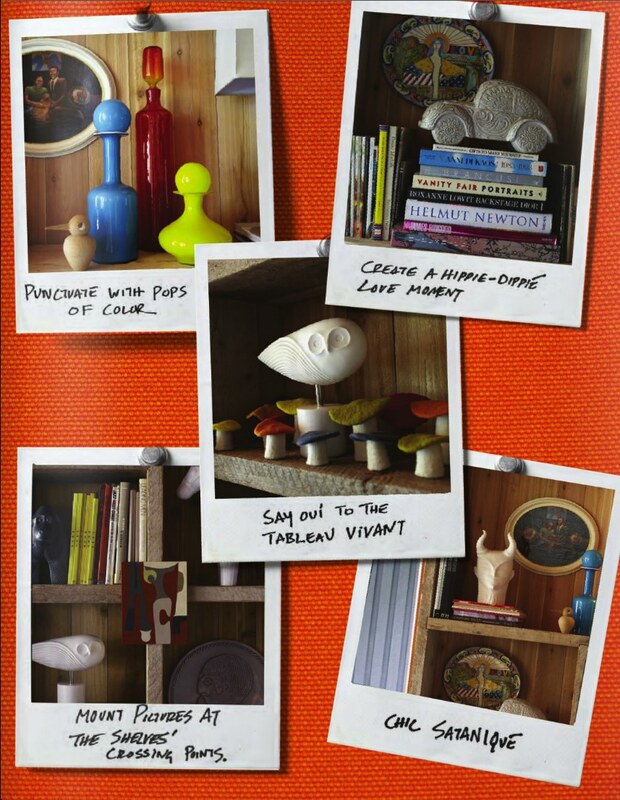 Adler’s aesthetic makes us smile, reminding us that a happy home is the foundation for a happy lifestyle. This is truly a self-help guide for the house. 100 Ways is full of tips that I bet you never thought of, like this one. 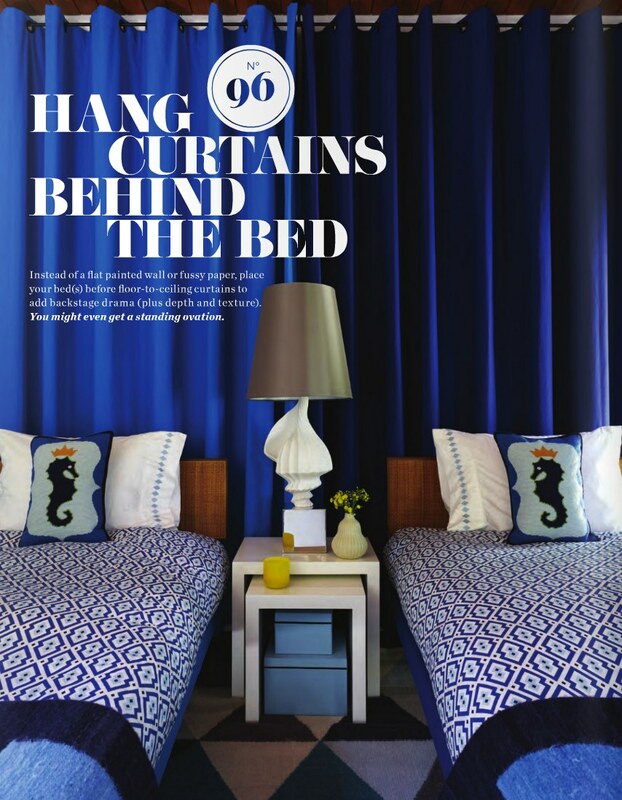 A heavy curtain behind the bed adds sexiness in a flash. 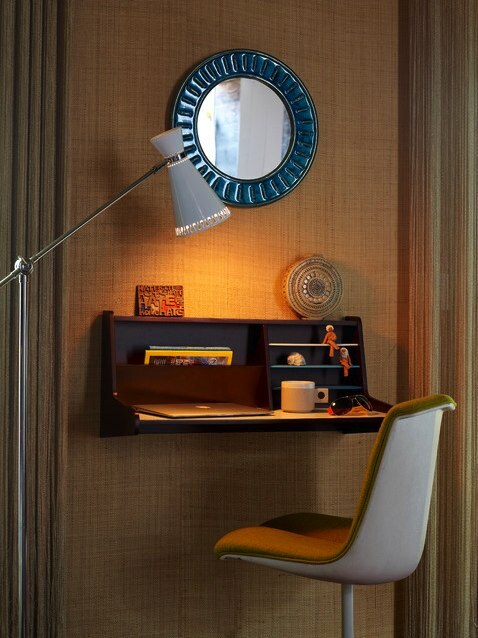 Jonathan Adler reminds us to pay attention to the small spaces, it’s one of the most commonly overlooked design opportunities. 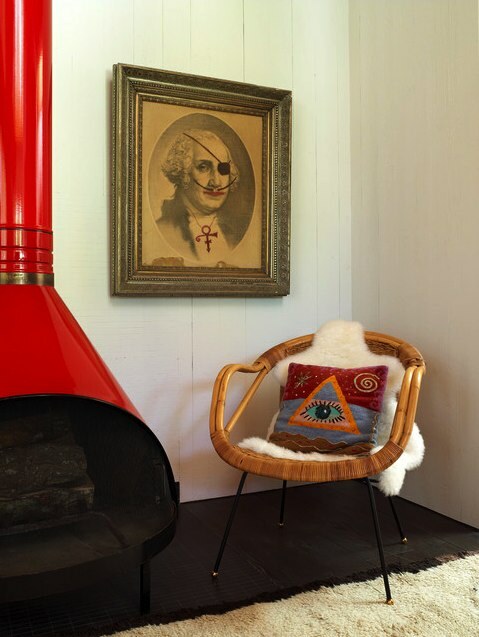 You won’t believe how giving a boost to that sad hallway or neglected nook can boost the design-worthiness of your abode. Embrace Irreverance, he suggests. Channel your inner Bansky and suddenly it’s hard to ignore those cheesy dime a dozen paintings you see at the flea market.